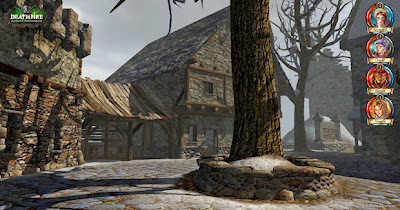 Guido Henkel has recently started a kickstarter project to fund his new fantasy-based cRPG called Deathfire: Ruins of Nethermore. The game currently seems to be set on sword-and-sorcery flavored setting, and it's being developed for PC, Mac OSX and Linux. The budget that he and his team are asking for is rather moderate $390 000, compared to some other recent cRPGs on kickstarter, such as Project Eternity and Wasteland 2 (to mention a few which asked around a million on their initial plea, ending way beyond few millions at the end). The lowest tier to buy the game (digitally) is currently $25 (as early bird editions are already sold out), and you can get development forum access for $5. The project has 15 days to go out of the initial 30, so anything's still possible, even though they are currently under $100 000 funded. The project seems quite promising to be honest, so check it out! 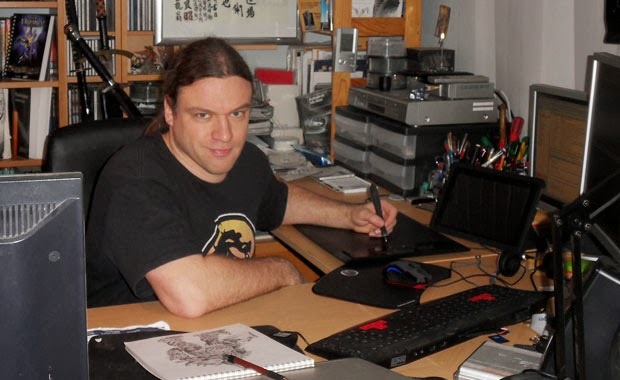 If successfully funded, Deathfire will be made by Henkel's lead with his team G3Studios. Henkel has kept rather quiet profile about himself, compared to many other game developers. He is multi-talented guy, who has capabilities of working with games as designer, producer, developer, composer, even as an artist (although about the last one I'm personally not sure to which degree, professionally). Henkel is best known of being one of the original formers of Dragonware Games in 1983 (German game development company, which made text-based adventure games for home computers at the time), which later on led to shape into Attic Entertainment Software at the end of the decade. At those days, Henkel was influenced by "Das Schwarze Auge" pen-and-paper role-playing game, once he tried playing it in a group and got hooked. This led him to start working with computer role-playing game based on DSA universe and rules, eventually releasing three titles of cRPGs based on DSA setting. German titles of these computer role-playing games (parts I - III) were soon translated to what we today know as Realms of Arkania. Henkel was co-creator of the cRPG franchise, doing multiple tasks from development to composing and story-writing, having a major role in completion of all of those games. 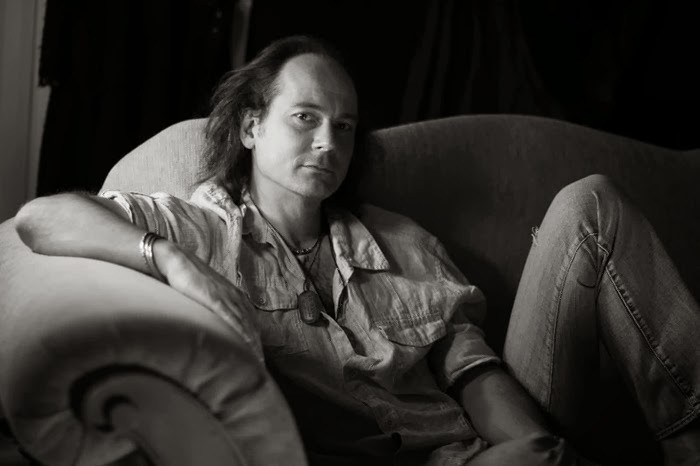 Later on Henkel also worked with few other games, such as a producer for Planescape: Torment, and what I understand is, that he had a smaller supportive role with development team of Fallout 2. Henkel has actually quite surprisingly long history with computer role-playing games, and his games have always had that depth that seems to be lacking these days with most of the games (Hint: you can also read my older article for more about Henkel's background: "Famous people in gaming industry - chapter #1: Jon Van Caneghem, Peter Molyneux, Guido Henkel. 14.02.2012. And my mini-interview with Guido Henkel. 15.04.2012.). 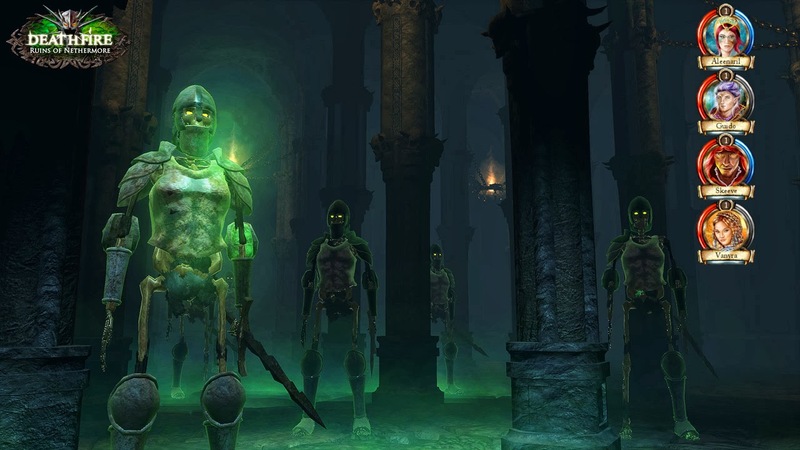 Along with Henkel, G3Studios also have Marian Arnold working on the game as a Lead Character Artist, who's known of working with Attic in their later days, and also with Larian Studios (creators of Divine Divinity). Deathfire, what kind of a game is it? It will be first-person party-based computer role-playing game (got to love these long terms!) set in sword-and-sorcery-flavored game world (not based on DnD, Die Schwarze Auge, or any existing ruleset), but seems to be taking a slightly darker visual approach. An old-school approach so to say! It's being developed for PC, Mac OSX and Linux and will use Unity 3D engine (popular these days), which makes it possible for a non-AAA (commercial big budget) game to look rather impressive, visually appealing, and be less time-consuming to develop, similarly. That is the core. Other things may still chance, for the game is still very early on it's development, and I'm quite certain fan / funder opinions are asked during the development, as well. 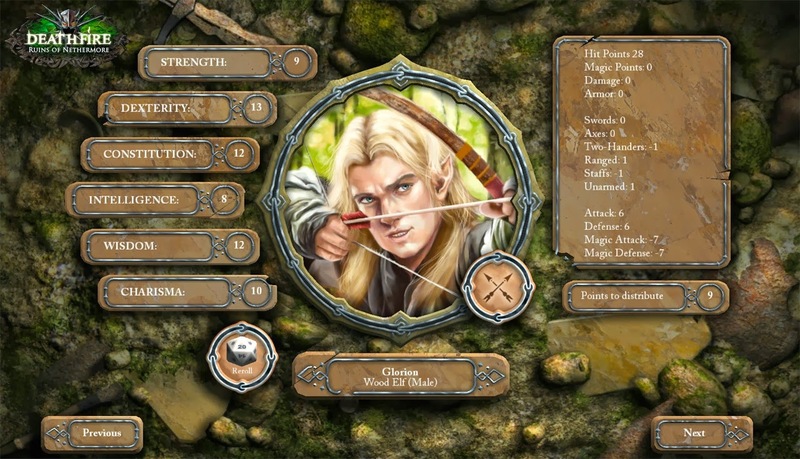 In Deathfire, you'll be able to create a party of four heroes (and recruit additional two NPCs) with rather in-depth character-creation process, including choices of six races, eight classes, and 34 traits (or skills) for each character. The story is not quite revealed yet, but it has something to do with a nethermancer raising from dead causing trouble. Henkel has hinted that there is reason why it is indeed a nethermancer, not a necromancer, but it will be a surprise for now. A Nethermancer, to my knowledge, has an ability to twist, form, and access different dimensions of the world, perhaps the story will involve something supernatural. 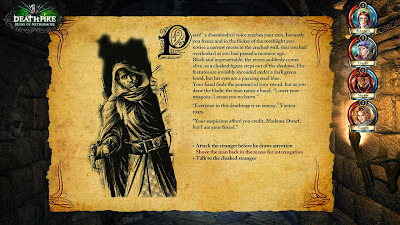 The story and it's dialogue will also be a major part in the game (as it should be in a cRPG!). There will be different factions in the game (not sure if able to join or not? ), whereas you will sometimes have to choose the side to evolve with the story and see consequences of your choices. The game is set to be first-person view, and combat will be handled in first-person view, as well, using turn-based system, which will allow much deeper tactical planning, than a real-time counterpart would. Movement in first-person view at this point is planned to be grid-based, although there may be filters on the final version to make the "step-engine" less visible. Henkel has stated that isometric grid-based tactical combat view would be interesting, but budget of $390 000 wouldn't just allow to create such element to the game. Still, first-person turn-based has worked fine before on several dungeon-crawlers. 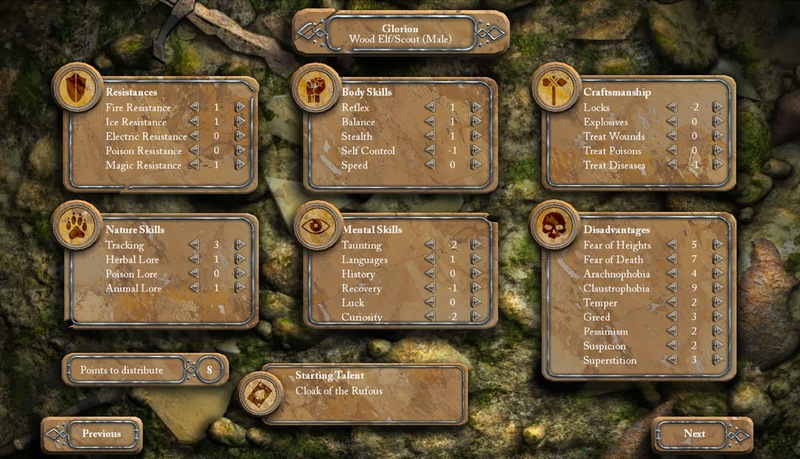 Deathfire will have it's own recipe-based crafting and enchanting system, and the game will also let you combine some items to build weapons, or perhaps traps to set against monsters (Henkel promises "tons of monsters" to combat). So, will Deathfire be a dungeon crawler, too? Kickstarter project introduction video stated that Deathfire will not be "just" a pure dungeon crawler (in veins of Dungeon Master etc.). It will fall somewhere in-between a dungeoncrawler and open-world cRPG, perhaps nodding more towards the first mentioned (as your path will be more limited than open, most likely). What we know so far is, that free exploration of the whole world will not be possible at once, and by any route of your liking, but Deathfire will contain both, outside and inside areas connecting to each others at their end. What those outside areas are, we don't yet know. 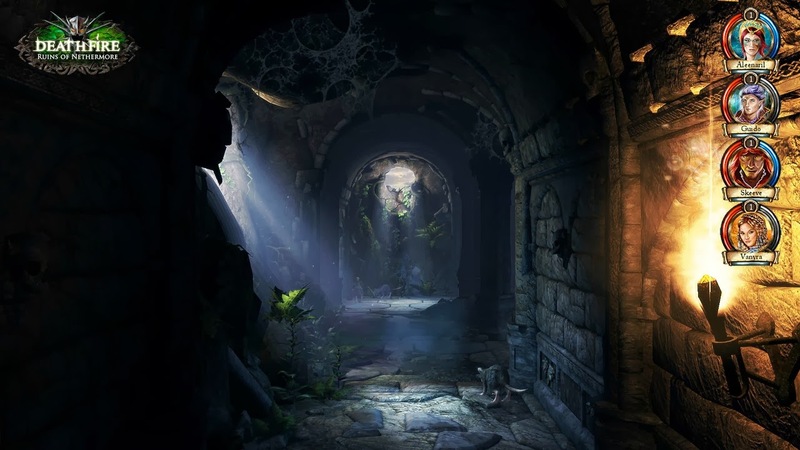 Personally I'm hoping for larger areas connecting to each other such as: dungeons, canyons, forest-paths, ruins, to get the immersion of adventuring and exploration. But we'll see. Deathfire will involve several puzzles and evolving quests, so at times, you will need to keep your mind sharp! It's also not certain at this point, whether the game will have a city of any kind for bartering and such or not (it certainly would make the game more impressive in my opinion). Also, loot system to me is yet not clear, but I'm betting for random loot-system, since you're able to discover and combine several items to make weapons and traps. The game should avoid the feeling of being closed-in dungeon-crawler by adding outside areas (whatever they are) to the mix, which should add variety of different episodes and events possible to be added to the game, and perhaps adding a slight element of freedom to explore and discover (depending of how big the outside areas are). What would a true cRPG be without a living, interacting party? Henkel promises, that in Deathfire, your party of four (+2 optional NPCs) will converse and interact with each other. In addition to their actual skills, characters have "hidden skills", which at this point have something to do with their personalities. Some party members may like each other, while the others may hate specific characters. Things may get heated and if certain party-member for example disagrees with another too many times, he may even leave the party. This personality-and-interaction-system will be handled by what Henkel calls "Psycho Engine", which keeps track of disagreements and such events. It's not yet explained how deep this character interaction will go yet, but they will have conversations with each others, have their own opinions, and it should go beyond what I just explained as an example. Different characters will have their unique personalities, and Henkel wants to make your party-characters to feel as much charismatic as live players in table-top role-playing event, as it's just humanly possible. Each of your characters will have their own negative traits, such as: Fear of Death, Claustrophobia, Greed, Temper, to name a few. Disadvantages are familiar from Realms Of Arkania series, and will give their own unique touch to characters personalities. After all, they are all just living beings, so why wouldn't they have fears too? A character who doesn't like tight places, may eventually freak out in a dungeon level, as well as someone with Fear Of Death may chicken out against the undead. It remains interesting to see how far Henkel can take party interaction, as he has already mentioned that during times when Attic created Realms Of Arkania games, they wanted to take the system deeper than what actually ended in the game, but computer hardware wasn't just powerful and evolved enough at the time to meet the requirements to do so (a shout for Matt Chat's brilliant Youtube channel and his Guido Henkel interview. 16.11.2013.). Still, Arkania's character system is one of the most in-depth seen in cRPG history this far, and Deathfire's stat-wise reminds it a bit (with perhaps few "filler" skills left off). As a little new innovative feature, the game will support Dice+ for those who want to experience the game with some additional pen-and-paper style flavor (and own the product), and use an actual physical, electronic, wireless dice for some rolls in the game, instead of letting the game naturally to roll and calculate everything for you. This will not affect to gameplay experience of those, who don't want to / can't use Dice+, as this feature will be completely optional, and won't be required to play the game. The used version will be an actual D20 die (as Deathfire is entirely D20-based game in it's rolls), which you can roll on a table when certain events take place in the game, and the game will then recognize your rolls (naturally, you can let computer handle all of this as well). Ideas to use the dice for, so far, include safety rolls and traps (perhaps more in the future). Also remember to check Deathfire out on their Kickstarter page! I'm proud to say that thegamersdungeon have backed Deathfire with an amount we could afford right now ($25)... :-) It will be very interesting to see what Guido Henkel, Marian Arnold, and G3Studios makes out of this project, if it gets successfully funded, as it's character system and interactivity seems to have interesting components included indeed! Wow, 380k eh. I may put a little towards it. Game looks amazing.